Providing stimulation for children is extremely important and greatly influences their development. A knowledge of your child’s various levels and stages of development will give you more insight, enabling parents to provide the best stimulation for children, promoting healthy normal development. The foundation of all abilities that a child will acquire later in life is laid out in a child’s first three years. For this reason it is crucial to properly stimulate a child during this time period. Basic learning processes takes place in the brain, this cannot happen without stimuli from their environment. When the brain learns it gets stimulated, this includes all forms of learning, such as memorizing, recalling information, understanding information, emotional control and social interactions. A stimulated child learns to optimally utilize his brain and in order to do so the child needs to be optimally stimulated. 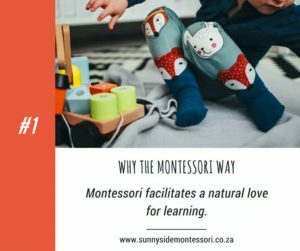 Stimulating your child mean that you will need to provide tasks, games, objects and equipment (toys) that can be used or manipulated in such a way that s/he will learn something to develop a new skill that has not been used before. The child repeats the newly acquired skill, improving his ability and through a parent or teachers example it will happen faster and more efficiently. Children can also be stimulated by watching other people perform a specific task, a new skill is then acquired by imitation. 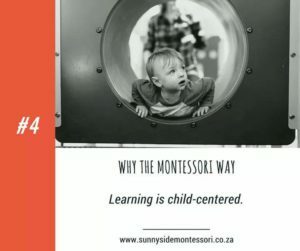 A stimulating environment should be inviting, arose curiosity, create expectations, offer an opportunity to learn, utilize abilities, practice new skills, use different senses and integrate abilities. An environment should incite as many senses as possible; vision, hearing, touch, taste, smell, motor movement and evoke an emotional reaction. Efficient stimulation will help your child develop into a well-adapted, balanced and happy human being who will make a positive contribution to society. Hello Moms, dads and friends. I can’t wait for the first term to begin! 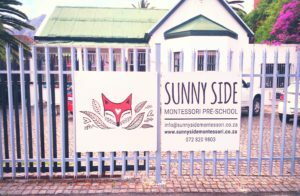 We’re finally finished setting up Sunny Side Montessori and what a busy and fun-filled process it’s been! All the classrooms are ready to inspire and nurture young minds. We have our themes for the year ahead and special dates have been set aside. All the positive feedback, support, kindness and compliments I’ve received about the school has been overwhelming. I have a strong feeling that the children will love learning in our environment that we’ve created with so much love. I wish everyone a wonderful festive season.